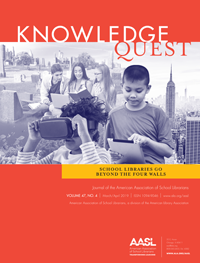 It means a few days away from school – and the costs of registration, travel and a hotel room can really add up – but it’s the only national conference focused solely on school libraries – and it only happens every-other year. It’s a must-do for any school librarian – but how to convince your administration to let you go? Have a plan for what you will do at the conference. Present an outline of sessions you will attend where you will pick up fresh ideas and gather tips and tricks first-hand from colleagues who have developed and tested successful practices that you can bring back and implement in your program. Highlight the nationally known speakers and authors on the program and explain how their ideas will inspire and inform your practice. Accentuate the value of hands-on opportunities to see and try out new technologies. There will be many exhibitors on-hand showcasing an array of new devices, digital platforms and resources, as well as presenters demonstrating practical implementation ideas. You will return with knowledge that will enhance teaching and learning in your school. Discuss the networking opportunities that participation in a national conference provides. You will be meeting the movers and shakers in our profession, as well as the leaders of our national organization. 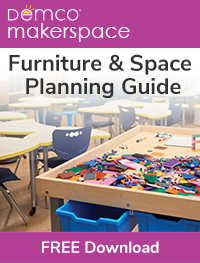 You may even be invited to join an AASL task force or committee. Think of the prestige this kind of involvement can bring to your district. Focus on the usefulness of seeing your program in a national context. How do your practices compare with others around the country? Are you keeping up with new developments in the field? Are you aware of trends in the profession that will impact your program? Emphasize how invigorated and enthusiastic you will be when you return with a fresh outlook that will positively impact the students and teachers in your building. Have a plan for when you get back. How will you share what you have learned and experienced at the conference – write an article or blog post, demonstrate a new application or device, share some new titles with students and teachers? Make a commitment before you go to ensure you will have an opportunity to show your principal that sending you to AASL was a great decision! Need some more inspiration? AASL has developed a great infographic poster and links to other resources to help you make your case. Quote your colleagues. Read what others have to say about what they get out of attending a national conference. Invite your administrator to come along! 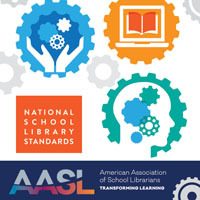 Your principal will be as enthusiastic about this conference as you are once you’ve made your case – and that’s terrific because this year, administrators can attend the AASL National Conference with their school librarian for free! We know you’re up to the task. Go for it! We’ll see you in Columbus!